Convenience-store retail industry leaders came together to share expertise and experience at the most recent NACS Insight Convenience Summit 2018, which took place in Las Vegas, USA. Each year, one of the most interesting discussions is about how the latest trends will shape the industry going forward. As a Board Member of NACS’ Inaugural Global Board, South Africa is formally represented in this international organisation. As convenience stores continue to focus on and build their food service categories to compete with national QSR brands, customers are not the only ones taking note. Fuel retail stores used to be looked upon as the poor brother of the retail industry but this has changed. Even High Street brands are now paying attention to forecourt convenience stores by exploring and trying out new formats to get a slice of the pie. Convenience stores have been lifting the game and now offer better value and many more food options that rival the high street chains in quality and consistency. We are gaining momentum and starting to take market share away from traditional retail. Food service lines, and the variety thereof, are a crucial part of growing a successful c-store retail business. 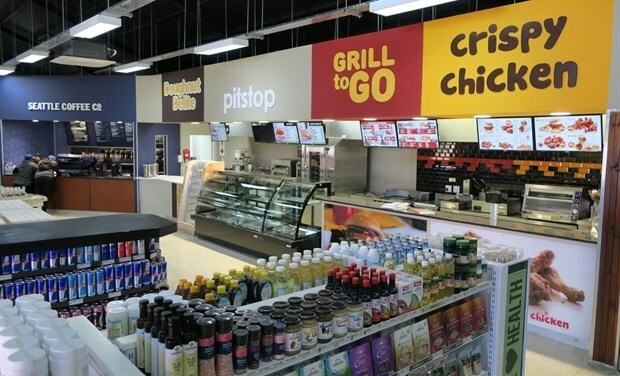 The industry internationally is bragging about an approximate 20% participation rate, whereas the leaders in the c-store industry in South Africa can achieve around 30% in stores with a food service offering, which far outpaces the industry norm. Where c-stores have support of national supermarket retail brands, they can compete through price on grocery categories. On top of that, the innovation of QSR brands that offer the likes of deep-fried chicken, hamburgers and flame-grilled chicken, make the convenience store much more appealing to new trends that customers need and demand. Not forgetting, customers’ on-going demand for healthier food options and a good quality Barista coffee offer. Frictionless shopping is all about providing customers with a personalised, enhanced, simplified and smooth shopping experience. 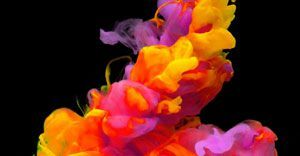 For retailers to be successful, they must embrace technology and data throughout the process, from product innovation to the in-store consumer experience. The most notable example of frictionless shopping is Amazon Go, the first completely checkout-free shop. Customers enter the store using their Amazon Go app, they fill up their shopping bag and simply leave the store when they’ve finished selecting items. The store uses cameras and sensors to know what has been taken off the shelf, so it can be charged to the customer’s account. No cashiers, no long lines, no paper receipts. This form of shopping will take some time to come to South Africa but retailers need to start incorporating technologies and processes to provide customers with frictionless shopping options. I believe that c-store customers will soon be able to place an order at a food service counter self-ordering kiosk and in so doing, avoid long lines or confusion with orders. Once they receive a number they’ll have the freedom to continue shopping in-store and add to their basket. Frictionless shopping is a combination of simplicity of transaction, the customer experience and speed of delivery. The evolution of motor vehicles and the possibility that petrol might be deregulated are base changes that would impact the viability of convenience stores dramatically. With cars being able to go further with less fuel, the rise of electric vehicle charging stations, and recent statistics that show customers are stopping at c-stores more often, retailers must come to terms with the fact that customers will only frequent those forecourt stores where they get the offer that suits them. Fuel stations that don’t evolve will die. In essence, the forecourt of the future will be revolutionised. The recharging/fuel stations will become the back court with the store/café becoming front and centre, so the retail offer has gained importance. For example, a regular c-store coffee customer will rarely think of buying fuel anywhere else but where she buys her coffee. Integrating mobile technologies such as apps to attract customers in-store, or offering them their favourite products on promotion via touchless payment is gaining traction. The customer experience as a key trend sounds outdated but in order to remain competitive in an evolving retail environment, the future of c-stores relies on the customer experience and, at the end of the day, the in-store experience that includes ambience and vibe (music and infotainment) will help drive repeat business. The customer experience revolves around personality recognition and consistency. When you bring personality and training together, you create an experience where the customer feels recognised whilst at the same time being assured of every aspect of your business. There is much value to be placed on having the best Wi-Fi, the cleanest toilets, and working power points that works in unison with the tastiest food and the fact that the Barista knows exactly how you take your coffee. Based on research from NACS and the Coca-Cola Retailing Research Council, customers define convenience as a comfortable and frustration-free shopping experience; and going into 2019, convenience retailers would do well to incorporate these four trends into the decisions they make today, as the c-store of today will not be the same c-store in 20 years’ time – it will evolve. 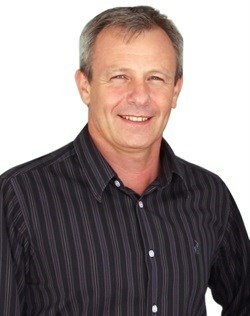 Joe Boyle is the Commercial Director of FreshStop, the largest and fastest growing convenience retail brand in South Africa. Joe has worked in the retail industry for more than 30 years and has been instrumental in developing food retail brands in South Africa during this time, which includes developing and growing the FreshStop retail brand over the last 10 years.